Not all athletes are born equal. 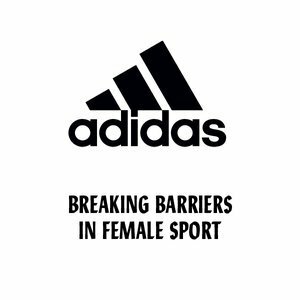 adidas has found that in London, Paris, New York and Tokyo alone, over 50% of girls don’t play competitive or individual sports and over 25% of girls stop playing sport between the ages of 14-17. Why? Because they don’t see a future. There are too many barriers stopping their progression. There’s a legacy of inequality and opportunity. Lack of infrastructure, lack of access, lack of role models, lack of funding. A legacy that adidas wants to change.